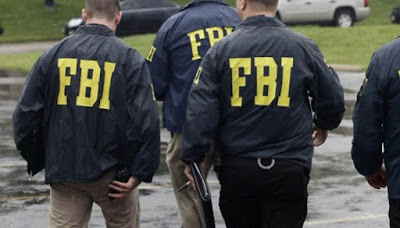 The U.S. Federal authorities have arrested no fewer than 34 Nigerians for allegedly defrauding businesses and U.S. citizens of several millions of dollars, the Federal Bureau of Investigation (FBI) said. FBI said in a statement that the fraud was a significant coordinated effort to disrupt Business Email Compromise (BEC) schemes that were designed to intercept and hijack wire transfers from businesses and individuals, including many senior citizens. It said a counter effort, ‘Operation Wire Wire’, a coordinated law enforcement effort by the U.S.
Department of Justice, U.S. Department of Homeland Security, U.S. Department of the Treasury and the U.S. Postal Inspection Service, was conducted over a six month period. “The operation culminated in over two weeks of intensified law enforcement activity resulting in 74 arrests in the United States and overseas, including 29 in Nigeria, and three in Canada, Mauritius and Poland. “The operation also resulted in the seizure of nearly $2.4 million, and the disruption and recovery of approximately $14 million in fraudulent wire transfers,” FBI said.